We consider the only future for this area and for the preservation of those ideals and policies for which we stand is to become an independent Shire … the need for this electoral reform has been clearly and sufficiently demonstrated to enable the Government to come to a decision and no longer forestall the issue. Put simply we call upon the Government to put the matter now to the people of A Riding to determine. Mayor for Pittwater Jacqueline Townsend has slammed an article in a local newspaper that appeared earlier this week quoting Professor Graham Sansom, who said Pittwater people “are quite justified in wanting to see an arrangement in place to protect their quality of life, but it’s not a reason not to have a merger”. “Quality of life is the number one reason we are vehemently against a merge into a ‘mega council’. Pittwater people will lose the very fabric of what makes a local community local,” said Cr Townsend. “While the idea of a ‘mega council’ might look good on a spreadsheet, the good management of the social, economic and environmental pillars of the entire Northern Beaches peninsular is unsustainable," she adds. Professor Sansom claims that one council for the Northern Beaches “could be very strong”. “The notion of one mega council for the Northern Beaches being ‘strong’ is something I passionately disagree with. It is ludicrous to claim that a mega council can maintain the same level of service in such a large area—we currently manage 96 square kilometres and that would increase to 260 square kilometres. “It also poses a huge risk to Pittwater’s unique ‘communities of interest’ and the strong sense of belonging that our residents feel; our community will become a very small fish in a big pond,” Cr Townsend added. Mayor Townsend claims the recommendations of Professor Sansom and his team focused only on urban infrastructure, commercial assets and the delivery of services, and omitted the major issues that Pittwater people hold close to their hearts—being a connected and sustainable community. “One mega council will undermine our community to continue as contemporary land managers, protecting our natural and built assets. “It was only 22 years ago that Pittwater people fought for the right to have a council of its own. It would be an absolute tragedy if that right was removed. Mayor Townsend said she didn’t want to see residents left wondering, why did we fight so hard in the first place? The reasons for succession in 1992 are still relevant today. “My fellow councillors and I hear the same message all the time—our community don’t want to return to the old days,’ she said. Mayor Townsend said, we should learn from the councils that have amalgamated and then regretted doing so—like Hume City Council in Victoria and a number of Queensland local councils—as a result of insufficient consideration given to community services, demographic considerations, economic and social activities, historic and environmental features, as well as adequate local political representation. Pittwater Council is pleased to announce financial results for the 2013-14 year delivered a balanced budget, with an operating surplus of $872,000. The report has unveiled a detailed summary of figures, showing approximately $23.8 million has been spent on major works and capital improvement. Pittwater Mayor Jacqueline Townsend claims Council is proud of its achievements, which highlight the complex and diverse range of services it provides to the community. “We are always striving to meet the expectations of the community, and of ourselves, to constantly deliver good outcomes,” she said. • $4.1m spent on improving roads & footpath network, including Hudson Pde, Avalon & Boondah Rd, Warriewood. • Reduction in GHG emissions of operations by 7.6%. • Granted $1m for a garden waste bin collection service. • Increased library utilisation by 17% due to evolving role as community hub. • Creation of Pittwater Business Online website, to help local businesses. • $544,000 spent on upgrading parks & playgrounds, including South Avalon Beach. Pittwater Council has also been recognised for several awards, including top honours from Parks & Leisure Australia for our Synthetic Turf Field at Narrabeen, winning a Local Government Arts & Culture award for our Arts Paper, an Award of Excellence from Storm safe NSW for our management of stormwater pollution, and winning a NSW Coastal Management award for our Coastal Ambassadors Program. According to an independent survey, 91% of Pittwater residents are satisfied with the overall performance of Council—a pleasing result that is higher than 2010 results and above NSW Local Government Area (LGA) benchmarks. Mayor for Pittwater, Jacqueline Townsend said that the latest customer survey results demonstrate how Pittwater is leading the way for other NSW councils, and responding to the community. 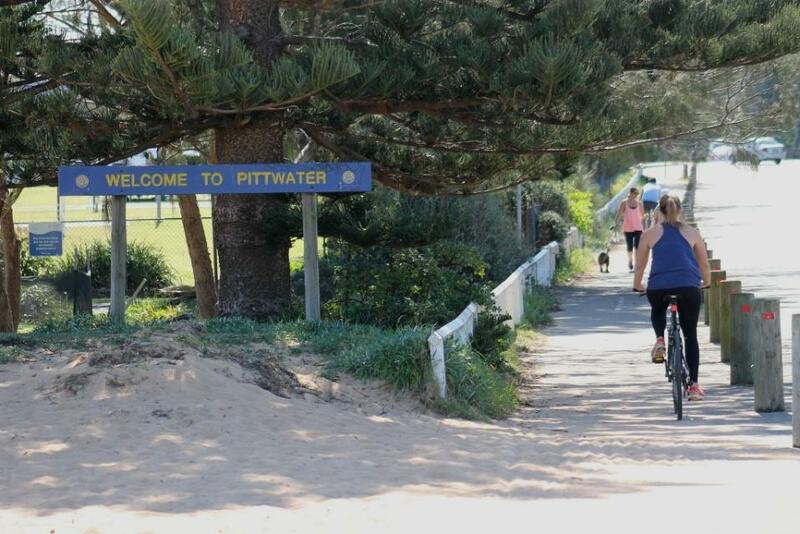 “What makes Pittwater so successful are three dominant virtues—it’s a Council run by the people, it has excellent financial management and results, and it runs efficiently—and these survey results show that this combination translates to resident satisfaction,” Mayor Townsend said. The key focus of the survey was to measure residents’ satisfaction with service delivery and the level of communication from Pittwater Council. • 87% of residents feel that they belong to the community they live in. • Overall 85% of residents surveyed were satisfied with the performance of Council in dealing with their enquiry. • 71% of residents feel safe in the local community.91% of residents name major works/projects as the issue they’d most like Council to communicate to residents about. When asked what issues Pittwater Council should focus on over the next five years, the majority named development - controlled, overdevelopment (13%) while 12% of residents named the upgrade and improvement of roads and footpaths. Pittwater scored above the LGA benchmark for: providing and operating libraries; environmental and sustainability initiatives; provision of information to the community; supporting local businesses; and involving the community in decision making. Mayor Townsend claims the survey is instrumental in providing feedback on Council’s performance and building a strategic path forward. “The survey not only lets us know when we are doing a good job but it also pinpoints areas which need improving,” she said. Research company Micromex conducted the 15 minute survey on behalf of Council. A similar survey will be conducted in another two years, to assess whether satisfaction levels have improved. Council has again conducted a community survey to gauge resident satisfaction with Council services and performance. The focus of this survey, conducted in July 2014, was both community satisfaction with Council services and the other Community Strategic Plan indicators. As such we separated out these elements and conducted two separate surveys. Micromex Research was engaged to undertake the two telephone surveys. We sampled 400 residents, over the age of 18, for each survey (total of 800 residents surveyed). The consultant ensured that the survey participant sample was reflective of the demographics of Pittwater. The sample size of 400 participants is considered statistically valid and represents sampling best practice. • Overall, 91% of residents surveyed were satisfied with Council’s overall performance. This is slightly higher than in 2010 and above all the NSW LGA benchmarks. • The main drivers of satisfaction are responsiveness to complaints/ requests, provision of information to the community and community involvement in decision making. • Overall, 77% of residents surveyed thought that Council’s image within the local community was ‘good’ to ‘excellent’. 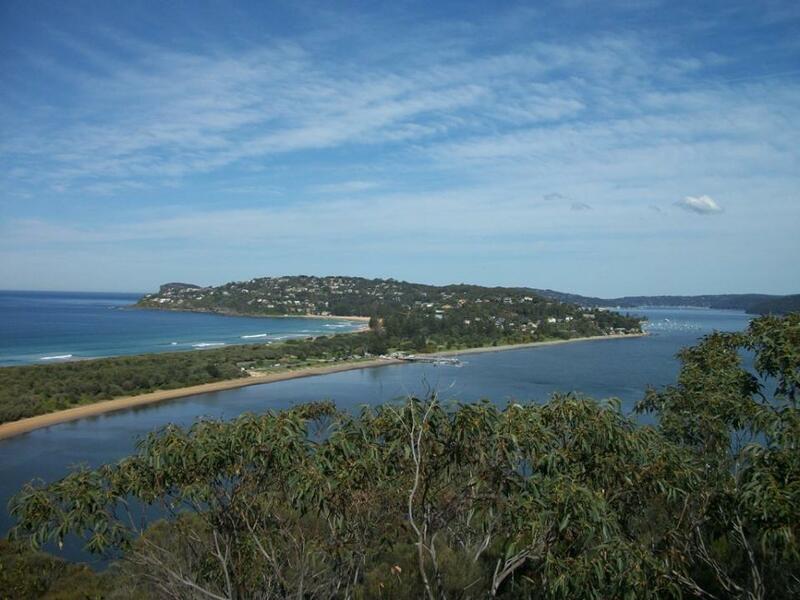 • The top two key priority areas residents surveyed believe Pittwater should focus on over the next 5 years are controlled development/ over development and upgrading/ improving roads and footpaths. • Compared with 2010 research there was a significant increase in resident’s level of importance with the following four services: cleanliness of beaches and waterways; managing and protecting creeks and waterways; support to local business; level of access to health services. • In relation to satisfaction of Council services, Pittwater scored above the LGA benchmark for the following: providing and operating libraries; overall satisfaction with the way contact was handled; overall satisfaction with council; environmental and sustainability initiatives; council provision of information to the community; support to local business; community involvement in decision making. • Overall 85% of residents surveyed were satisfied with performance of Council in dealing with their enquiry. The State Government has offered a $10.5 million carrot if Pittwater was to merge with other councils and if we merged with Manly & Warringah we would be entitled to another $3 million as we would exceed the threshold of 250,000 residents (with a combined app. 307,000 residents), giving a total carrot of $13.5million. However Pittwater council staff have calculated that at least all of this carrot would be lost in the costs of amalgamation. At the council meeting held on the 13th of October the council put forward a recommendation that restated that we were not interested in amalgamation however the recommendation empowered the Mayor & General Manager to enter into negotiations and appoint a facilitator in conjunction with Shoroc. Following presentations by ourselves and other resident groups at the meeting the recommendation was amended so that only discussions could be had with no negotiations or appointments of a facilitator. The original motion can be viewed on the council web site under the Agenda for the 13th October and the replacement under the Minutes for the same meeting. A copy of our submission to the council meeting can be viewed under ‘Submissions’ by clicking here. It is obvious the State Government is intent on having Pittwater merge with Manly & Warringah, so all residents in Pittwater will have to strongly send a message to our local member and to the State Government well before the next election due in early 2015 that we do not want to merge with anyone. The NSW government's Fit for the Future package includes amendments that make it harder for councils to prove they are financially viable, write Brian Dollery and Joseph Drew. Not all is as it seems in NSW government's Fit for the Future package to encourage councils to amalgamate. In fact, councils are being dudded in its calculations. Although the government has long claimed that it would use the 10 financial sustainability ratios calculated by TCorp in its 2013 analysis of the financial status of individual councils, in a tricky sleight of hand it has not only added a financial ratio not used by TCorp in the form of "real operational expenditure per capita", but also deceptively selected only six of the 10 TCorp ratios and then changed the benchmark values used by TCorp. These unremarked changes have gone unchallenged by Local Government NSW and the larger NSW local government community. This is regrettable since the financial ratios and benchmark values cherry-picked in the Fit for the Future criteria have been deliberately modified to make it more difficult for councils to demonstrate their financial viability. For example, "real operational expenditure per capita" reflects numerous external factors that fall outside the control of councils, such as the age profile of councils, population growth and the like. Moreover, it does not address service quality and service sufficiency. In addition, Fit for the Future offers differently valued compensation packages for urban and country councils which amalgamate. This is exceedingly odd in the light of costs incurred by merged councils in Queensland in 2008. On average, metropolitan Queensland mergers cost $9.3 million each, whereas regional and rural mergers cost almost $8 million. Given the Queensland experience, why are NSW country councils being offered so little compensation? Given these and other problem with Fit for the Future, it is hard to escape the conclusion local government is being deliberately dudded. Professor Brian Dollery and Dr Joseph Drew are researchers at the Centre for Local Government at the University of New England. Above: Eric Green about to pull cord to uncover plaque at the ceremony at Pat Hynes Reserve North Narrabeen to commemorate the Pittwater Proclamation Day. Above: Max Radmanovich, Ross Bonthorne, Eric Green, Des Creagh, Allan Porter, Ron Starr at the ceremony at Pat Hynes Reserve North Narrabeen to commemmorate the Pittwater Proclamation Day.Pictures by Nan Bosler - courtesy Mona Vale Library Local History Unit. Extra images by A J Guesdon. Pittwater Council became a reality on 1 May 1992 when a simple ‘Constitution Day’ ceremony was held and a ‘welcome to Pittwater’ sign was unveiled just north of Narrabeen Lagoon. This ‘lack of fanfare’ was to set the tone for a ‘no frills council’. Image courtesy Mona Vale Library.